Of all the methods by which our history can be preserved, one way that is often overlooked is that of the names of the streets and roads around us. Whilst some of these are more obvious, such as Dudley Street, Walsall Street or Billy Wright Close, some are altogether more unfamiliar. In this first part of an ongoing series, I take a look at some of these places that we may pass through every day with no awareness of their meaning. The modern day Science Park, courtesy of Google Maps. For anyone who has visited the Wolverhampton Science Park near Dunstall Hill, several of the roads appear fairly inconspicuous at first glance; Coxwell Avenue and Glaisher Drive. The other road within the area may raise an eyebrow or two – the rather wonderfully named “Mammoth Drive”. I had often picked up a friend from work on said drive and had long wondered if the place might have some connection to the ancient beast of the same name. The actual story behind this name turned out to be considerably more interesting. In a modern world of jet engines and travel to nearby moons, it is often easy to forget just how recent these inventions are. 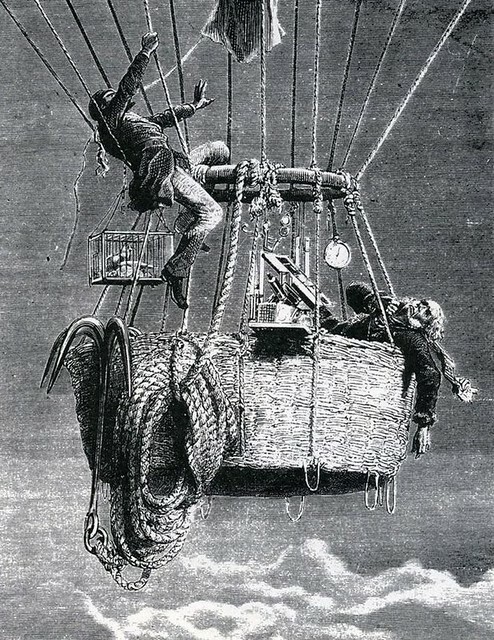 Long before the Wright brothers perfected flight, the Victorians were attempting to ascend the skies in the technological marvel of their day; the hot air balloon. Balloons had been used for centuries, and the first manned flight on record was made by Jean-Francois Pilatre de Rozier in 1783. Later that year, de Rozier and Marquis François d’Arlandes would make the first manned flight where the balloon was not attached to a tether, despite King Louis XVI initial insistence that the pilots be condemned criminals! Not all balloon trips ended well. This image from The Illustrated London News shows the dangerous end to a flight by Mrs Graham. 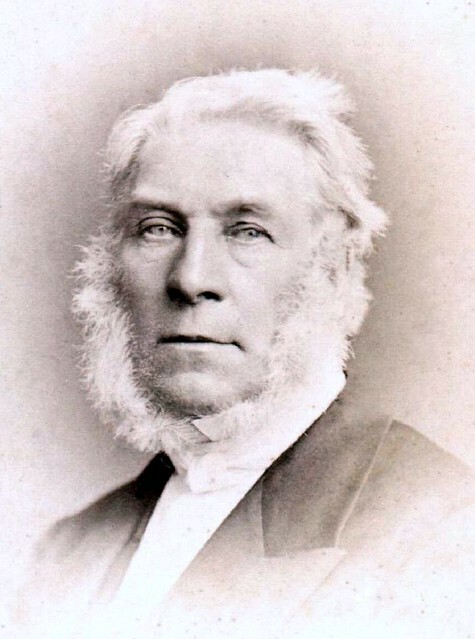 Henry Coxwell was born near Rochester, Kent, on the 2nd March 1819, the son of a captain in the royal fleet. At the age of four, his father was appointed commanding officer of the stationary vessel at Chatham and thus the young Coxwell spent many of his formative years aboard a great English man o’war. His parents initially had high hopes for him to follow in his father’s footsteps, but his father died when Henry was 13 and his mother instead desired he become a dentist. Henry acquiesced to her wishes – beginning his new profession at age 20 – but whilst he worked away on Earth, his mind turned to the skies. Ballooning had long fascinated the young man, inspired by great British pioneers like Charles Green, Thomas Harris and Margaret Graham and Coxwell would finally get his chance to ascend in the summer of 1841 in Alberfield in Germany. The following year, he founded a magazine, The Balloon, or Aerostatic Magazine and continued ballooning, becoming professional in 1848. Coxwell was renowned for his piloting skills, with the Newcastle Chronicle reporting one particularly daring feat from Germany; At a height of 3,000 feet, Coxwell would release a 50 foot ladder and climb from one gondola to another in order to open an air bombardment. Such daredevil feats, combined with his magazine and lecturing would continue to build his profile for the next decade, before he would link up with a man who would ensure that both their names were immortalised in the record books… and the roads of Wolverhampton. James Glaisher was born in Rotherhithe in London in 1809, the son of a watchmaker. Horology, however, was not the trade for him, for he would instead embark upon a career in meteorology. After a junior stint at the Cambridge Observatory, he moved to the Royal Observatory in Greenwich and assumed the post of Superintendent of the Department of Meteorology and Magnetism, a post he would hold for 34 years. Fascinated by weather, the relatively new sphere of hot air ballooning gave him the ideal opportunity to conduct his experiments in the field (or sky, to be more accurate) and by 1862, his chance had arrived. 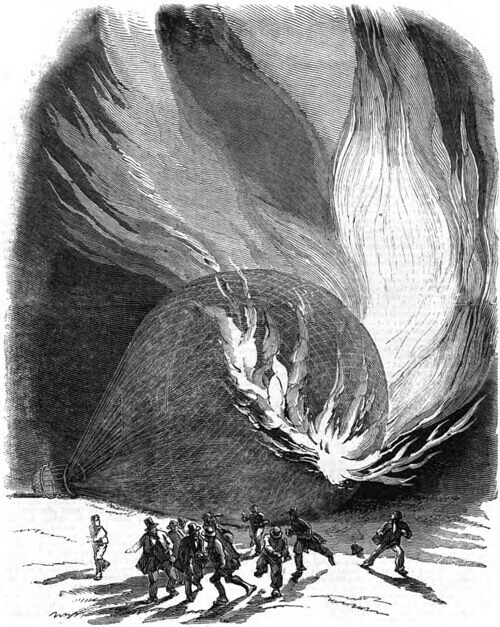 The British Association for the Advancement of Science had a wish to conduct investigations of the upper atmosphere and hot air balloons were the only method by which these could be conducted. 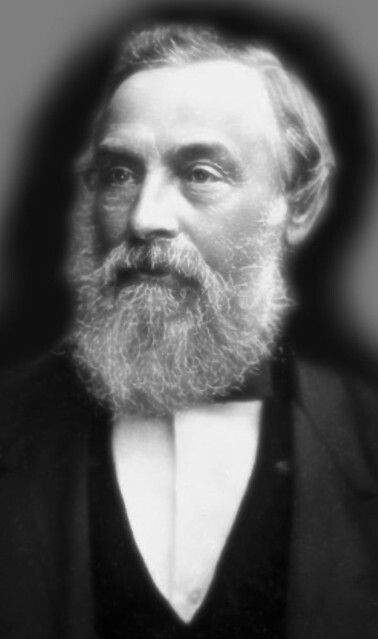 Glaisher was selected as the ideal candidate to conduct the experiments, and at the suggestion of one of Henry Coxwell’s ballooning heroes, Charles Green, Coxwell himself was selected to man the controls of the balloon. 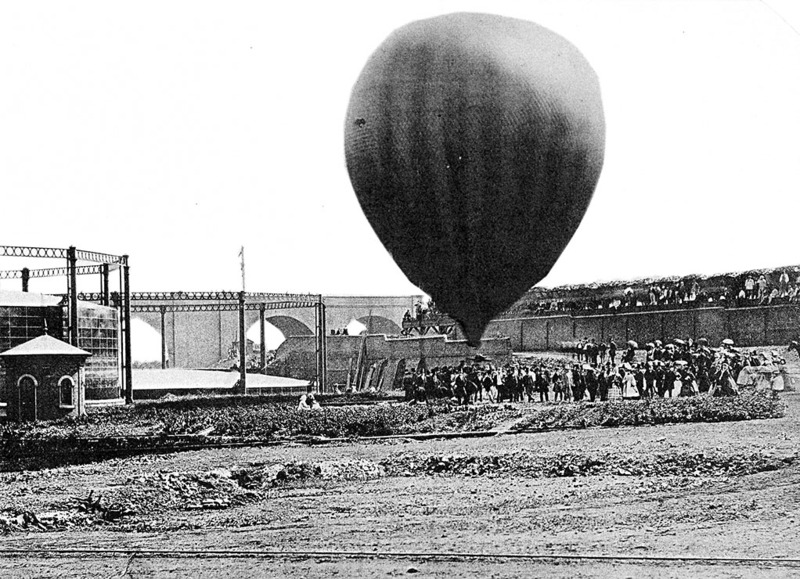 The hugely experienced Coxwell would constructed an equal huge craft; a 93,000 cu ft (2,600 m3) capacity balloon named Mammoth, which, on 17th July 1862, sat on the site that is now occupied by the Wolverhampton Science Park, in the shadow of the mighty Oxley viaduct. The two men began their ascent at 9:43 in the morning and after around 12 minutes, they had passed through the clouds. The heat of the sun allowed the appropriately named Mammoth to fill out to an almost-perfect sphere and Dr Glaisher noted that, at that height, the sky had turned a “deep Prussian blue”. Subsequent flights from the capital followed, departing from Crystal Palace. Such was the height the two men attained, Glaisher would note that “The illuminated dials of Westminster clock were like two dull moons”. Balloon flights in Victorian times were very popular attractions. The pair would return to Wolverhampton on 5th September 1862, for their record-breaking ascent. On this occasion, Mammoth was stocked with all the requisite equipment for their experiments; a compass, thermometers, six pigeons (to see how they flew at altitude) and, of course, 6 bottles of brandy. The two men were soon high above the clouds and, as Coxwell manned the controls, Glaisher began his experiments with pigeons. If this were the effect the atmosphere was having on the pigeons, then the effect was equally as dangerous to the two men on board. As Glaisher recorded his observations, he began to feel the effects of “balloon sickness”; he was unable to move his arm from the table in front of him. He attempted to call out to Coxwell, but was unable to make a sound, his head slumping to one side. Unfortunately, the balloon’s valve line had become entangled, and in order to descend, Coxwell clambered up the rigging, 6 miles in the sky. As he flailed around in a precarious position, Glaisher lost consciousness and by this time, Coxwell had lost all sensation in his hands. Realising that a failure to descend would result in imminent death, Coxwell grabbed the valve with his teeth and pulled back with his head several times. To both men’s eternal relief, it worked. Glaisher awoke and remarked “I have been insensible…” before grabbing his pencil and returning to his experiments. At the time he passed out, the last barometer reading he had recorded was at an altitude of 29,000 ft (8,800 m). The balloon dropped nineteen thousand feet in fifteen minutes, and would land safely near Ludlow. Later calculations estimated their maximum altitude at 35,000 to 37,000 ft (10,700 to 11,300 m) – for context, a jumbo jet flies at somewhere between 36,000 and 41,000 feet. By the time the two men hit the ground, only one pigeon remained and it appeared so traumatised it refused to leave Glaisher for 15 minutes before flying away. 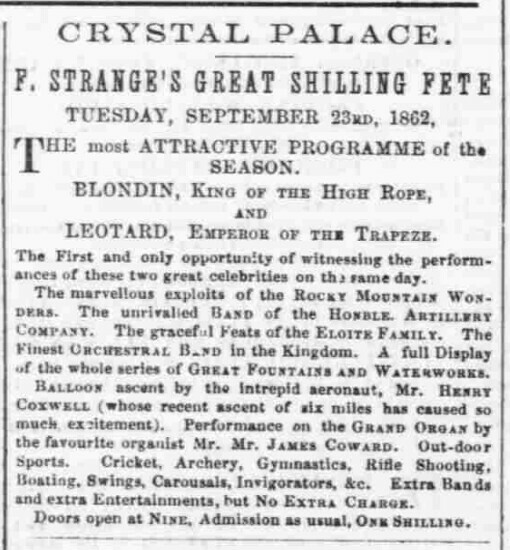 Coxwell was seen at the Crystal Palace just over 2 weeks after the record-breaking flight. The two men themselves seemed remarkably unscathed by the whole experience – Glaisher would go on to make another 21 flights and live until the ripe old age of 93 and Coxwell would live to 80, having made a reported 495 flights in his career. The achievements of that day are set to form the basis of a major motion picture from Amazon Studios, entitled The Aeronauts. Sadly, for reasons known only unto Amazon, Coxwell’s role has not only been completely written out of history, but he has actually been replaced by a fictionalised woman called “Amelia Wren”. Despite the studios proclamations that they were interested in “historical accuracy”, it appears this is not the case. So, next time you pass by the science park, doff your proverbial cap to those two great men, Henry Coxwell and James Glaisher and their magnificent machine, Mammoth.